Since your Dad loves sweet things, we created a special treat just for him! We've taken rounds of our rich vanilla and smooth chocolate cakes and dipped them into baths of exquisite imported Belgian chocolate. 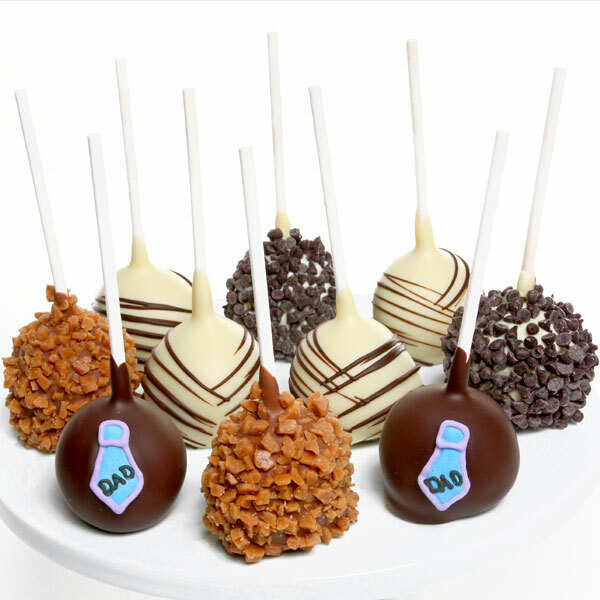 Each decadent cake pop is then artfully decorated with festive candy appliqués in the shape of ties, our signature chocolate drizzle, rich buttery toffee, or sweet mini chocolate chips.